Batman doesn't know. Superman doesn't know. The Justice League has no clue. The Legion of Doom is at a total loss. 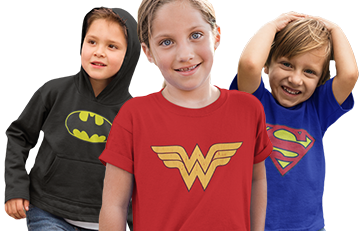 Nobody knows the mystery of the DC Comics Women's Mystery T-Shirt! Is it from the Source? The New Gods? Apokolips? A Mother Box? 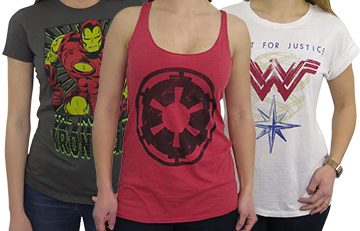 I'm not entirely sure...the only thing one might be sure of is the power from the DC Comics Women's Mystery T-Shirt! 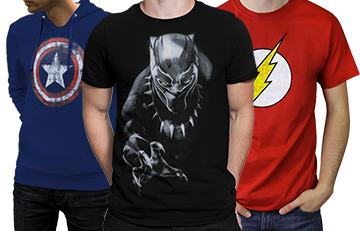 Mixing shirts, randomness, and mystery is something we do well here at SuperheroStuff and the DC Comics Women's Mystery T-Shirt won't let you down! It'll be a crazy mystery shirt featuring somebody or somebodies from DC Comics. Beyond that, you'll have to see! Received an Aquaman logo shirt. Nice comfortable material but the size runs a little small. I revieved my mystery shirt and it is awesome. Pink Batman v neck and it fits perfectly.